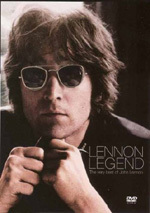 "John Lennon / Plastic Ono Band" was John Lennon's first solo studio album after the break up of The Beatles. Both John & Yoko had been undergoing primal scream therapy in the lead up to the recording of the album and both this and Yoko Ono's companion album ("Yoko Ono / Plastic Ono Band") were deeply influenced by their therapy. This latest addition to Eagle's acclaimed Classic Albums series explores the creation of this groundbreaking album through new interviews, archive footage and detailed analysis of the original multi-track masters. Interviewees include Ringo Starr, Yoko Ono and bass player Klaus Voorman. Ever since the Beatles split in 1970, fans have debated which of their solo albums fare the best. These arguments have changed over the years, as some records lost their initial luster while others gained in stature. For instance, Paul McCartney’s Ram received generally negative reviews back in 1971, but now many see it as arguably his finest hour. When John Lennon put out John Lennon/Plastic Ono Band toward the end of 1970, many regarded it as a great piece of work. That viewpoint has changed little over the nearly four decades since its release. 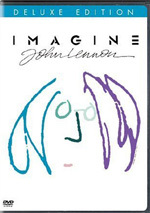 Some might put 1971’s Imagine above it, but POB usually gets the nod as Lennon’s best release, and it almost always ends up in lists of the top five solo Beatle albums. Even if Lennon remained alive today and had worked steadily since 1980, I still believe POB would probably represent the apex of his solo career. One of the most introspective and emotionally charged albums ever released, POB remains a powerful classic. The DVD follows the usual blueprint for the Classic Albums programs, as it presents those connected with the album to detail the music and its creation. 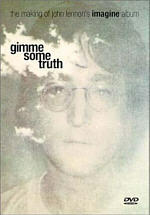 We hear from Lennon via archival interviews, and we get new comments from Yoko Ono, Ringo Starr, musician Klaus Voormann, Rolling Stone publisher Jann Wenner, Beatles historian/author Mark Lewisohn, journalist Richard Williams, recording engineers Richard Lush and Phil McDonald, Primal Institute co-founder Dr. Arthur Janov, EMI Studios tape operator John Leckie, and radio DJ/family friend Elliott Mintz. POB looks at the disintegration of the Beatles, Lennon’s relationship with Ono, and where he went from there. We hear about the genesis of the Plastic Ono Band, Lennon’s early solo efforts, and the creation of the POB album. The show digs into Primal Scream therapy’s influence on Lennon and the album as well as other aspects of its writing and recording. We also get a few notes about Yoko Ono/Plastic Ono Band, a companion effort. It can become difficult for anything about a Beatle to seem fresh. The solo years haven’t been beaten to death as much as the group period, but that work – especially the earlier efforts like POB - has received an awful lot of attention over the decades. Though that means few – if any – revelations will materialize from this disc, it provides a good overview. As usual for the “Classic Albums” series, the best parts come from the more “hands on” demonstrations. At the mixing board, we hear Lennon’s isolated vocals for “Mother” and “Isolation”. We also get isolated drums from “I Found Out” and “God”, isolated guitar/vocal for “Love”, and isolated piano for “God”. These moments go by too quickly, but they’re still cool to hear. Voormann also plays bass for “Hold On” and emulates Lennon’s piano for “Isolation”. Unfortunately, we never get Ringo behind the kit to demonstrate his work. A few outtakes also appear. We hear some studio chatter and other quick audio tidbits. Again, these are fun, though they’re awfully brief; I’d love to get more of them. That’s probably the biggest problem with this DVD: it’s too general and doesn’t offer the usual level of insight. We find a lot of clips from the released album – too many, in my estimation, since most viewers will also likely know POB, so the audio feels like it’s there to fill time. Since the program only runs 53 minutes, it should devote more energy to comments and unique musical elements, not to repetition of songs from the album. Some examples are necessary, but this show uses too many of them. I also think POB devotes too much time to ancillary issues instead of the record’s creation. Indeed, the POB album occasionally feels like an afterthought. The show digs into a variety of related topics that are interesting but not especially fresh. When we enter into a “Classics Albums” DVD, we want to hear specifics about the album’s creation, not general notes about the artist. Some background is fine, but that side of things shouldn’t dominate. I don’t want to sound too critical of Classic Albums: John Lennon/Plastic Ono Band, as I think it provides an enjoyable look at a great piece of work. However, I feel it’s not one of the best “Classic Albums” releases. It gives us a fair overview of the album but lacks the desired insight. Classic Albums: John Lennon/Plastic Ono Band appears in an aspect ratio of 1.78:1 on this single-sided, double-layered DVD; due to those dimensions, the image has been enhanced for 16X9 televisions. Overall, I thought the DVD offered decent but unspectacular visuals. For the new material, sharpness appeared reasonably crisp and detailed. The picture looked consistently clear and accurate, except for some of the Yoko shots; those tended to be a little soft. Focus was more problematic in the older clips, as they demonstrated issues. Some of the videos and concert footage also came across as rather indistinct. Jagged edges cropped up through elements like glasses Yoko’s hat, but I didn’t notice shimmering or edge enhancement. The older footage showed a mix of print flaws such as grain, grit, speckles, and some spots. As for the modern shots, they could be grainy but otherwise lacked flaws. Most of the Classic Albums releases feature fairly subdued colors since they take place in studios and other indoor settings. POB followed along those lines, as the colors were laid-back but fine. Black levels looked fairly deep and rich for the new stuff, while shadow detail appeared clear and accurate. Overall, you won’t view POB for its dynamic visuals, but it remained watchable. Similar feelings came with the Dolby Stereo 2.0 soundtrack of Classic Albums: The Doors. Not surprisingly, this mix stayed with a front-oriented presence that largely hewed to the original stereo presentation of the music. Virtually everything other than the songs stayed in the center; I detected no evidence of effects or dialogue from anywhere other than the middle speaker. The music showed decent stereo separation, though POB wasn’t an album that used the spectrum in a broad manner. Overall, it seemed like the music provided clean spread across the front, and the track used the rears for decent reinforcement of the songs. Audio quality was somewhat erratic but generally positive. Dialogue was reasonably natural and distinct. As for the effects, well, there really weren’t any; this production featured music and dialogue almost exclusively. Of course, the songs were the most important aspect of the mix, and they came across well. The original tracks from POB fared best of all, as they showed decent clarity and depth. Archival footage worked acceptably well, though of course it displayed a fair amount of variation. Those segments were usually clear but somewhat thin and flat. As a whole, the audio seemed good but unexceptional, largely due to the variety of source materials. In terms of extras, this one comes with nine Additional Interview segments. Taken together, these last a total of 35 minutes, 36 seconds. We get notes from Lennon, historian/author Mark Lewisohn, musician Klaus Voormann, recording engineers Richard Lush and Phil McDonald, and EMI Studios tape operator John Leckie. In these segments, we hear isolated elements from “Remember” and “God” and alternate takes of those tunes as well as examples of the guitar sound from “Well Well Well”. The comments also cover how Voormann got to know the Beatles, and recording “Working Class Hero”, and Yoko Ono/Plastic Ono Band. In addition to the interviews, some live material appears via bits of “Well Well Well” and “Mother”. We also find a Top of the Pops performance of “Instant Karma!” that appears to feature mimed music with live Lennon vocals. If the regular POB program had more closely resembled this material, I’d have liked it more. We get the kind of song breakdowns here that I really enjoy, and they become very interesting. I also like the TV version of Instant Karma!, as it’s a cool addition to the set. The extras here are quite good. As a longtime Beatle fan, I looked forward to Classic Albums: John Lennon/Plastic Ono Band. While the show entertains and offers a decent overview, it lacks the insight and depth I expect from the “Classic Albums” series. The DVD presents perfectly acceptable picture and audio along with some nice extras. POB is worth a look, but fans shouldn’t expect one of the series’ best efforts.